Michael Fanger and I attended the 2nd annual Literacy and Laundry Summit on March 19 and 20 in Chicago. There were also more than 100 literacy experts in attendance. In my 30 years in the laundry industry, nothing I’ve seen is as powerful a force that can propel laundry to new meaningful heights. This has the potential to be a game changer in the way our industry is viewed and the role laundries play in the communities across the United States, particularly under-served communities. 2 Small to Fail and Libraries Without Borders are 2 organizations that exist to promote childhood literacy. 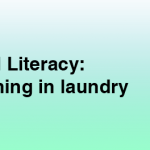 The Coin Laundry Association’s Laundry Cares Foundation is joining forces with them to form the Laundry Literacy Coalition. Its mission is to transform neighborhood laundries into places where literacy and reading are accessible to children of all backgrounds. Why is this so exciting and why am I and many others in the laundry industry of the belief that this will change lives? First, for decades going to the laundromat and doing laundry have been boring and often dull necessities for many families. Many of these families are from underserved communities. 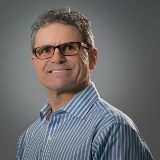 While there are many owners who actively give back to their community, before LaundryCares, there was no concerted industry effort to give back. Now we have a focus, a need that is visible and laundries are the place where for a couple hours every week, many children accompany their parents to wash clothes. This alignment of stars or confluence of conditions comes in this moment when more than ever, our future success depends on children being prepared. Imagine if even 20% of the estimated 30,000 self-serve laundries in the country had a dedicated space for children to read and have access not just to books, but to librarians and other resources that help them achieve grade-level literacy. Imagine what this could do for your local community. Imagine how many children would be better prepared for elementary school, high school and college. In other words, HUGE! As a laundry owner, this is your opportunity to be part of a wave that will benefit your business and your community. Do you have a 5 feet x 5 feet area in your store that could serve as the literacy corner, where children could choose and read book or be read to? Do you think your customers will appreciate it? From my experience and from the experience of laundry owners who have done so, the answer is a resounding YES! On March 25, 2019, LaundryCares will host a Free Laundry Day in Miami at 2 My Sunny Laundry locations. The organizations listed above will be participating and a prototype of a literacy space will be unveiled. As members of the laundry industry, I implore you to be a part of this initiative. It will benefit you and your community and it will change lives, including yours. It has already changed mine.